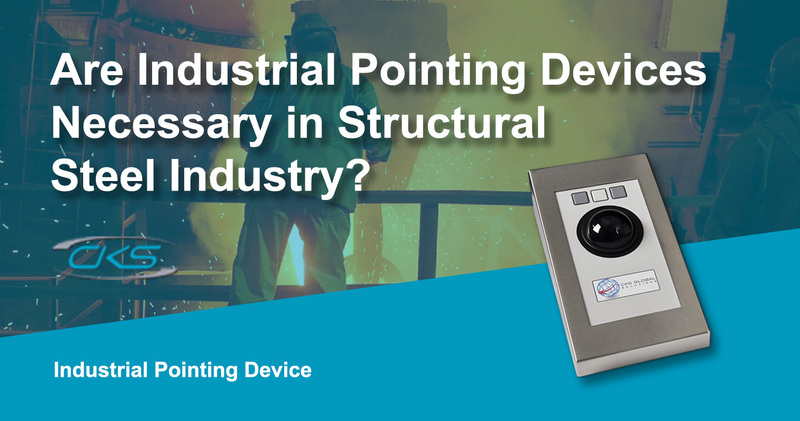 Are Industrial Pointing Devices Necessary in Structural Steel Industry? Home » Blog » Are Industrial Pointing Devices Necessary in Structural Steel Industry? Several industries need steel for their products because of its ductility and durability from harsh environmental conditions. However, the construction sector remains as the top consumer of this material. In the UK alone, demand for structural steelwork is expected to grow by 23% by 2018 [Foregale]. This means that it will be a challenge for steel manufacturers to meet this growing demand. Structural steel serves as the backbone of many construction projects and specifically manufactured for building infrastructure. Because of its durability and strength, it allows an infrastructure to withstand extreme shock and other challenging weather conditions. To keep up with the competition, structural steel production process must be optimised, streamlined, and efficient. Apart from utilising an industrial-grade computing system, integrating industrial pointing devices is a must-have device for the steel making process. Now, why are ruggedised pointing devices play an important role in structural steel production? In the next sections of this blog, learn about its advantages and how it can optimise the overall steel production operations. Structural steel differs from other types simply because it contains more Manganese. It improves the malleability of the steel whilst improving its resistance to cracking and splitting. As a result, this creates an excellent ratio of low weight and high strength which makes it an outstanding material for construction. This is also the main reason why most steel factories are using industrial PCs for a seamless navigation of steel applications. However, it would be a great option to integrate it with ruggedised pointing devices. When operators are able to easily navigate the interface of a unit, it reduces processing time whilst minimising errors and possible miscalculations. So, why do many industries opt for industrial pointing devices? Find out more about how this device helps in streamlining structural steel manufacturing operations. In the field of steel manufacturing, precision and accuracy are the two most important factors in every operation. Industrial pointing devices have the specifications necessary to achieve flawless steel production process. Reliable pointing devices are great navigation solutions for computing units in steel operations. Trackballs or touchpad devices allow convenience of seamless navigation. As a result, operators can conveniently navigate a system and reduce steel production processing time. Choosing pointing devices of industrial-grade ensures that the inner components are protected from the harsh elements present in steel production facilities. Its high IP rating enables the device to perform optimally even under the presence of harsh elements. Given that steel production facilities may have a limited workspace, equipment with different mounting options are ideal. Rugged pointing devices have mounting options to allow easy installation in many work areas. Therefore, it is compatible with computing equipment that has flexible mounting options as well. Structural steel manufacturing requires optimised processes to have an increased production rate. Thus, having an equipment that can offer smooth operability ensures a streamlined operation. A reliable peripheral like pointing devices can technically aid in minimising the processing time and possibilities of errors. Look for an established industrial PC manufacturer today to know more about pointing devices integration to steel production.